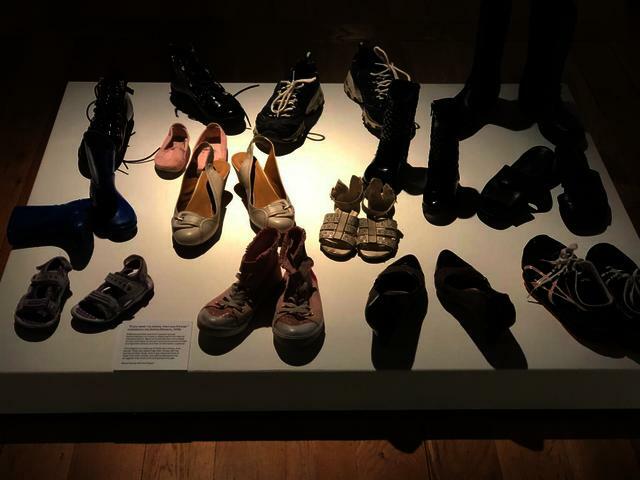 An installation made for the exhibition, “Represent! 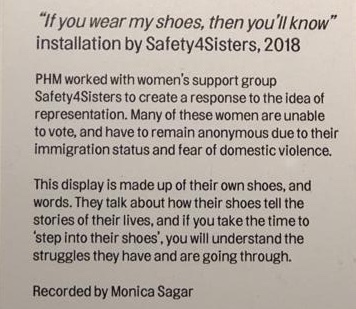 Voices 100 Years On” at the People’s History Museum, by the Safety4Sisters with No Recourse to Public Funds (NRPF) migrant women’s group, facilitated by Lynne Fanthome. The researcher met the group to inform and discuss exhibition themes of political representation. 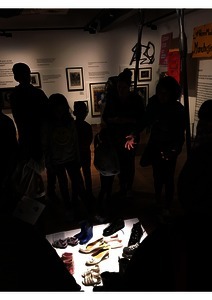 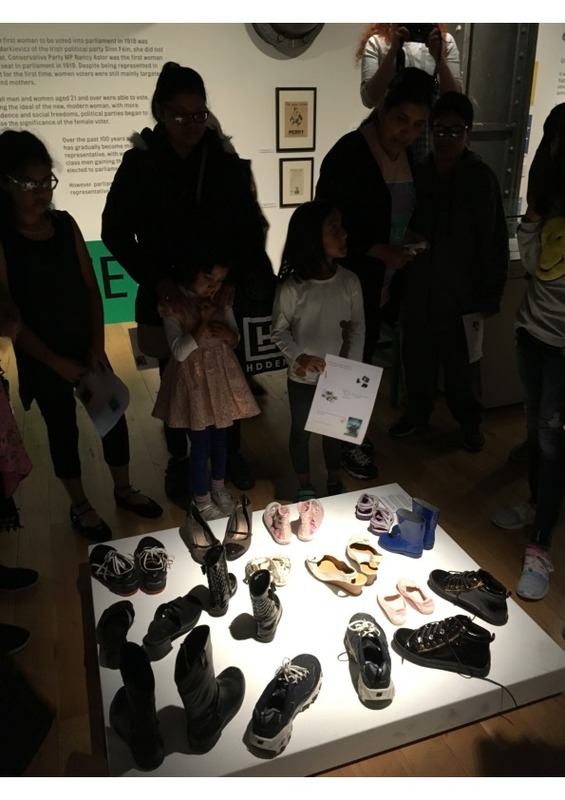 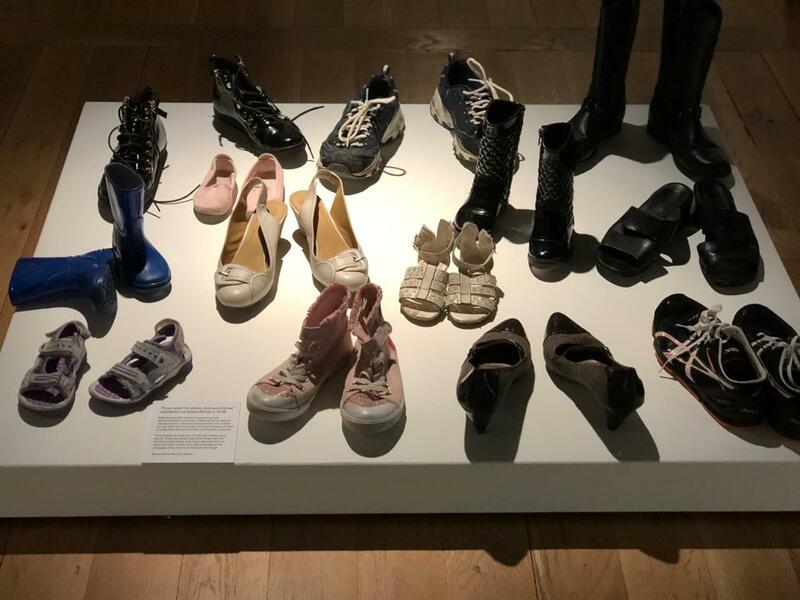 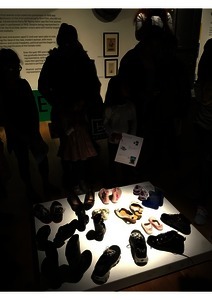 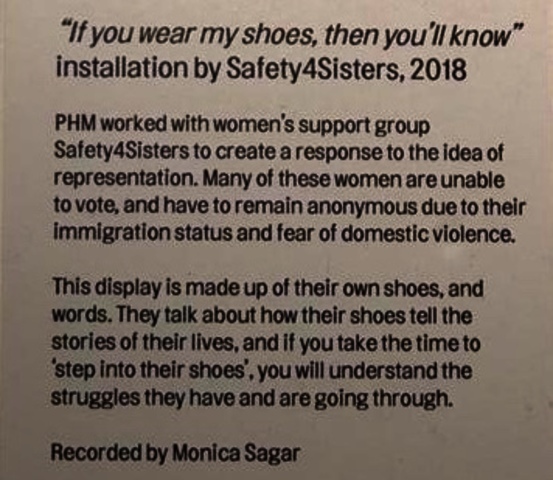 From these workshops came the ideas that led to, “If you wear my shoes, then you’ll know” (2018): formed of their own and their children’s footwear placed on a plinth, a sound recording recounts their experiences of gendered violence, journeys of escape and struggles with immigration authorities, in the context of the hostile environment for migrants. The title and the objects call for the viewer to listen and imagine what these experiences would be like. 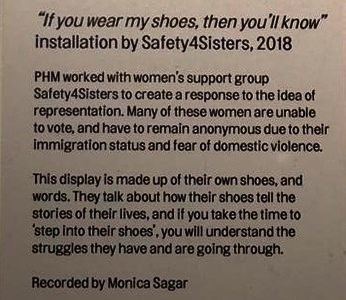 The transcript is voiced by actress Monica Sagar to maintain anonymity, by request from some members of the group.